How can you make a Dark Angels army and not have the Deathwing? I mean, c'mon, let's be serious. 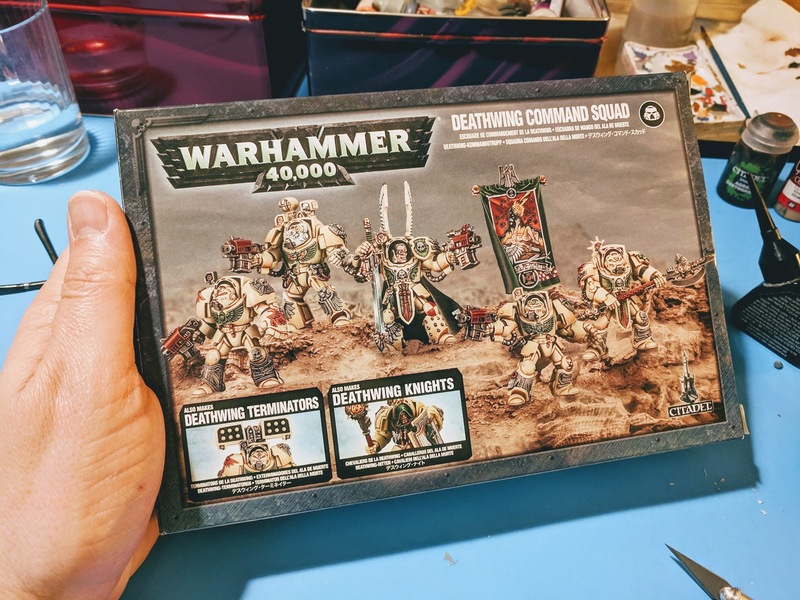 I purchased this kit on amazon and was surprised to learn that it builds any of the three units shown, the command squad (now separate characters), the Deathwing terminators, or the Deathwing Knights. I then became giddy because I remembered I had a dozen terminators from the large army I bought on ebay and stripped last summer - I could use this single kit, and some of the used terminators to build TWO units for the price of one! 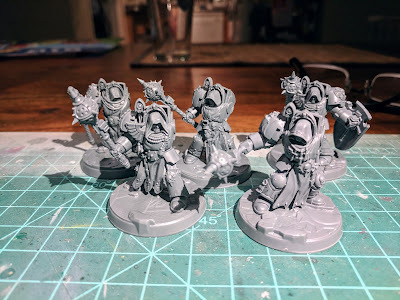 I quickly set about building the Deathwing Knights and mounted them on scenic bases. I left off the shield arms, as they would make it hard to paint the details on the model if attached. I then took the additional bits from the kit and the used marines and created a unit of Deathwing Terminators. I pried off the press-fit torso fronts and replaced them with the DA specific ones from the kit. What luck! I ordered the Deathwing Terminators from the old Dark Vengeance set from ebay, and assembled and based those as well. These are mono-pose, but are richly detailed. Mixed in with other units, they'll look great. Our Deathwing is 15 strong right out of the gate! Very impressive use of bitz to maximise your units. Great score! 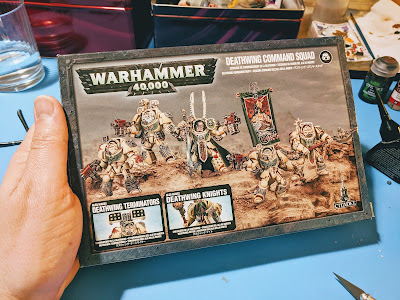 Pick up so,e dead cheap AOBR Termies and use more free bits! The Halberd Champion always looks sweet, and do you get a Plasma Cannon toting one too? Nice additions! Pretty short coin o get that force together. 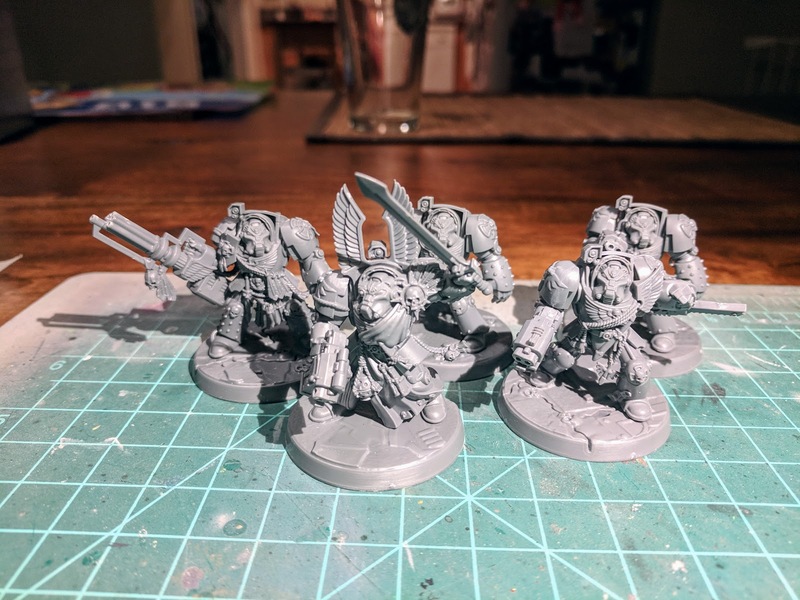 You inspired me to get building my own cached Primaris marines. 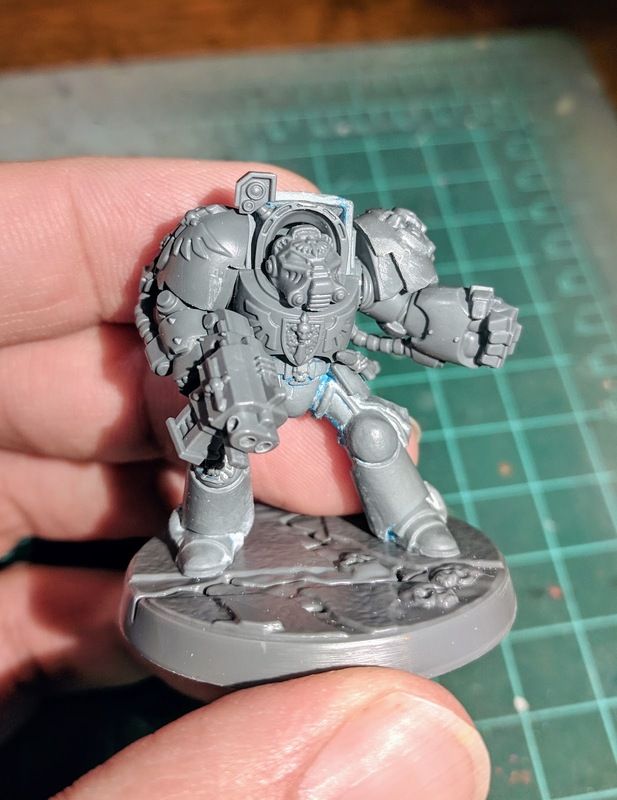 I'm sold on a successor chapter, Blades of Vengeance. I'm enjoying watching your force grow while thinking and building on my own.